Guests are met in central Paris* and transferred by private chauffeured minibus to the elegant L’Impressionniste. A champagne reception welcomes you on board and the opportunity to meet the captain and crew. Then enjoy your first dinner on board. 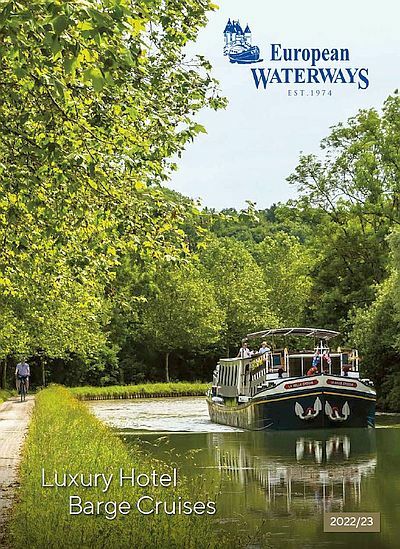 This morning experience your first day’s cruise along this enchanting canal, which also promises a walk or cycle along an ever-present towpath cruising past sleepy villages and pretty lock houses. 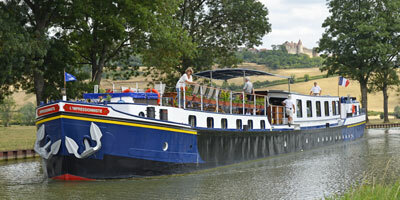 Late morning, our expert wine guide joins the barge to give an introductory talk on the vineyards of Burgundy and during an on-board wine tasting, ensures that everyone has mastered their tasting technique! In the afternoon, he takes us on a visit to Clos de Vougeot, headquarters of the esteemed Chevaliers du Tastevin, who annually award prized special labels to the finest Côte d‘Or vintages. Driving past legendary Grand Cru vineyards, we also pay homage at the fields of Romanée Conti, then stop at the family-run Domaine Jafflin in the heart of Nuits-St-Georges on the Route des Grands Crus. A tour of their cellars is followed by a tasting of their exceptional Pinot Noirs including Vosne Romanée, Nuits St Georges and Gevrey Chambertin. Dinner on board. After breakfast, we cruise to Vandenesse, past grazing white Charolais cattle, rolling hills and picturesque villages, crossing the only canal bridge on the Burgundy Canal. Later, our wine guide joins us again and we drive from the barge through wooded hillsides out into the world famous vineyards of the Côte de Beaune. After making a stop in the Grand Cru vineyards of Le Montrachet, we visit a domaine in the village of Puligny-Montrachet where we enjoy a private cellar tour and a tasting of some of the world’s greatest white wines. There should also be time to visit the medieval village, craft shops and castle of Châteauneuf-en-Auxois, once an outpost of the Dukes of Burgundy and offering a fine overview of the feeder lakes, canal and surrounding countryside. Dinner on board. After breakfast, guests are transferred to Paris*.